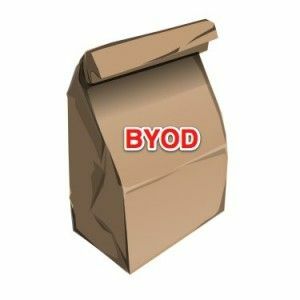 The issue of bring your own device (BYOD) or bring your own PC (BYOPC) is frequently talked about by IT directors managing school wireless networks. The mobile revolution has unleashed an invasion of smart phones, iPads, laptops, ipods, and other devices. Technology is a tool that easily increases productivity and helps students learn -- but as an IT director, how can your school wireless network handle students bringing their own devices? IT departments for school wireless networks need to be able to manage the many mobile devices students and teachers are accessing the network with. The day of having an unsecured wireless network is over -- the school wireless network needs to be secure, allow guest access, and provide the proper capacity for support. Here at SecurEdge we can set up your school wireless network with Role Based Network Security. This allows you can assign specific students, devices and teachers their own "policies" for what they can access on your network and online. The School Wireless Network needs to be secure, constantly protecting the network from student viruses, malware and other malicious activity. When it comes to network security, SecurEdge is always on the cutting edge and can help you keep your network secure. SecurEdge Networks helps design, deploy and manage school wireless networks across the United States. Need help supporting BYOD your school wireless network? Contact us or download our free school wireless network design guide. We can review your current school wireless network and help make changes to support the BYOD phenomenon.